The Ranobe Cafe | Light Novels — And A Whole Lot More! My Little Sister Can’t Be An Anime! Is it just me, or are light novel’s getting anime adaptations just as much or more than Manga and Visual Novels these days? The light novel series “Ore no Imouto ga Konnani Kawaii Wake ga Nai” (Translated as “My Little Sister Can’t Be This Cute!”) by author Tsukasa Fushimi is getting animated. 5 volumes have been published, selling over 920,000 copies, and the 6th volume arrives in bookstores all over Japan on May 10. Atsuhiro Iwakami ( Kara no Kyoukai – the Garden of sinners , Kannagi , Cencoroll ) is producing the anime at Aniplex with publicity producer Yūma Takahashi. The back of the wraparound jacket band on the sixth light novel volume will announce the director, scriptwriter, and animation production studio of the anime. The official website has launched. Keiichiro Kawaguchi ( Hayate the Combat Butler , Zettai Karen Children , Nyan Koi! ) is directing off scripts written by Hideyuki Kurata ( Kamichu! , Sasameki Koto , Read or Die ). Hiroyuki Oda , an illustrator on the original work, is handling the anime character designs, and AIC is producing the animation. The anime will retain the cast from the drama CD released in March. The story follows a brother who discovers his sister is secretly an Otaku who likes “sister themed eroge”. It’s a comedy if you haven’t guessed already. There is an ongoing fan translation of the novels online if you do a Google search. 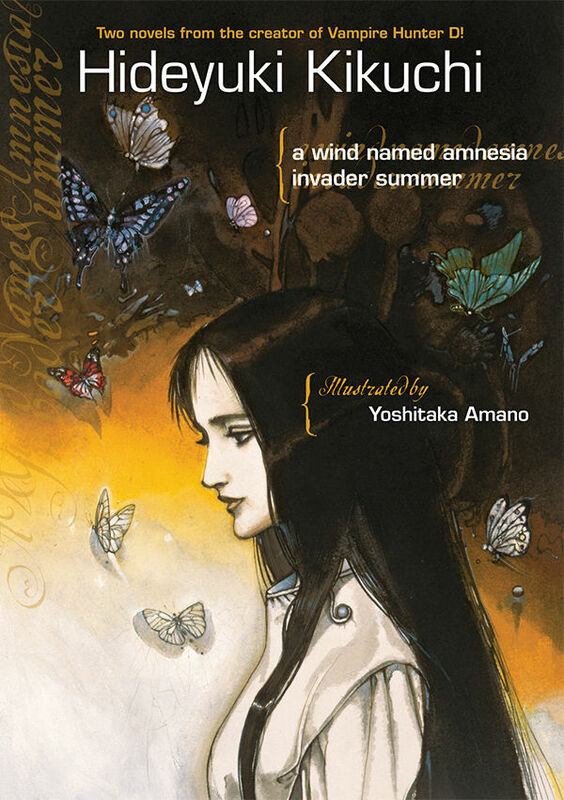 Well this is interesting: instead of deciding to sell two Hideyuki Kikuichi novels separately, Dark Horse decided to put A Wind Named Amnesia and Invader Summer in one volume. This is decent value for money especially in Australian dollars (where I live books are expensive: expect to pay twenty dollars or more for a paperback). The first novel on my first inspection seems to be a post-apocalyptic tale which avoids the lack of finesse more Western apocalyptic literature and film has to the influence of the (again) Australian film Mad Max and its respective sequels. I’ve never read Vampire Hunter D (written by the same author as this anthology) but Kikuichi seems to have a real grasp on how narrative flows with full exposure to the atmosphere of a novel set in a dark yet graceful future. A Wind Named Amnesia is about a youth named Wataru who wanders the landscape of America with an alien girl named Sophia. They must discover the cause of a mysterious amnesia which has caused humanity to descend into a primitive state. The roads are perilous, and the people they meet could be friend or foe alike. And yet there is still hope. Sophia never lets Wataru give up hope in humanity, as they struggle to survive in a world where humans have forgotten basic skills and even advanced technology. Once humans were capable of reaching the stars, now they are glued to the ground. Overall A Wind Named Amnesia is a quick but raw read which plays out like a sort of On the Road only instead of Jack Kerouac a Japanese science fiction writer is documenting the graceful decay of civilization, for all its rawness in the description of brutality, it’s never gratuitous or over the top. Kikuichi as a writer chooses to depict America as a sprawling wilderness where all order has been lost due to a lack of remembering what they once had, only some people remember more than others. I highly recommend this as light reading because while it’s fun to read it’s not as intellectually demanding as Brave Story. Well written, good effort, but not much depth. Philosophical statements are made, but they sound cheesy. And isn’t that what a Kikuichi novel should be? It was written in the 1980s, and believe me, after seeing Hot Rod, the 80s inspired film about a stuntman biker, I totally “get” what Kikuichi was going for with this one. It’s rock and roll, not Mozart. The second novel in this anthology is Invader Summer, which is an entirely different mood to A Wind Named Amnesia but sticks with the premise of alien mystery. It’s about a kendo black belt teenager or something who’s in trouble with some gangsters who want to knock him off because they’re working for a competing school who want their kendo pupils to win the national championships. There’s also a strange girl who captivates all the male members of the school, causing a lot of problems for the girls. Invader Summer can get dark but it’s in a lot lighter tone than the first novel presented here. As I don’t know much about the context of Invader Summer – but I can tell you it’s a hell of a lot easier to read than A Wind Named Amnesia which gets pretty brutal. Mainly because the gangsters are so inept that they’re hardly threatening at all, whereas A Wind Named Amnesia has a really dark apocalyptic atmosphere. My recommendation is to buy this book because you get two stand alone light novels which can be enjoyed as reading on the bus or just individually. You can’t lose with this deal, since Hideyuki Kikuichi delivers strong stories with reasonably deep musings on humanity. Text Copyright © Jacob Martin 2010 and The Ranobe Cafe. All Rights Reserved. Bungaku Shoujo English Cover Leaked? Well, this blog is known for reporting not only the widely known news (or semi-known) but also for exploring news that other’s somehow seem to have missed. This would be one of those times. Posted on MyAnimeList, a user by the name of “Desolato” posted what he claimed to be the English edition cover for the newly licensed Yen Press light novel “Bungaku Shoujo” due out this July under the English title “Book Girl and The Suicidal Mime”. Whether the cover is official or not has not been confirmed, and no original source for where the image was found was given. But if what we see now is in fact the official cover, I give them a huge round of applause. This would indeed be their best attempt at a mainstream English cover yet. Thoughts? Opinions? Leave them below. This past Sunday, Yen Press posted online the official English cover for the second volume of Spice and Wolf, which is due for a release this July. The cover came along with some new news as well. A new marketing strategy is being implemented by the manga/light novel publisher. The actual cover of the novel will retain the original Japanese Illustration, while a slip cover containing the new English picture will be placed over it. Fans are applauding the announcement as a well executed compromise between the mainstream US audience the publisher hopes to capture and the fanbase already existing. According to a podcast at Anime News Network and Barnes and Noble sales data rankings, the novels are selling better than the publisher had originally imagined. So it’s official now. According to the June issue of Kadokawa Shoten ‘s The Sneaker magazine, the Kadokawa Sneaker Bunko imprint plans to publish Nagaru Tanigawa ‘s new light novel, “The Astonishment of Haruhi Suzumiya” this year. The novel will mark the first new release in the series in over three years since the last volume was published. The magazine is planning to publish an excerpt from the new novel in the upcming issue as well. In a message inside the magazine, author Tanigawa announced that he has written 75% to 80% of the new book. According to the message, he has also written 370 pages in the novel’s current draft. Rumors over the years have circulated that this new novel will mark the end of the franchise, however, there has been no official confirmation to support this. Reasons as to why the author has taken this long to write the next new novel, having ended the previous one on a cliffhanger, are unknown largely. GOSICK Light Novels To Be Animated….By Studio BONES? Kadokawa Shoten revealed on their website around the middle of March that the GOSICK light novel series would be adapted into an Anime. The news came as no shock to long time fans of the series, except for maybe the fact that it took this long to have it announced. The news came soon after the English release of Volume 2 of the series by TokyoPop after a long hiatus and circulating rumors of cancellation. While not widely reported, or even mentioned by Anime News Network, the Japanese website MoonPhase has announced unofficially that the Anime series will be animated by Studio BONES. For those unfamiliar, this is the same animation studio that has created “Fullmetal Alchemist”, “Eureka Seven”, “Ouran High School Host Club”, “Wolf’s Rain”, “Darker than Black”, as well as the currently airing series “Hero Man”. While unofficial and not confirmed, the news isn’t entirely shocking. This wouldn’t be the first time the studio had adapted a light novel series. In 2003 the studio adapted the “Scrapped Princess” light novels (3 volumes were published in English by TokyoPop before being discontinued) into an Anime series. A rumor had circulated that the newest issue of NewType would confirm the news officially, however, thus far this rumor has not proven true. One of the least talked about subjects on this site, but one for which you will see more articles about in the future, are Cell Phone Novels. This unique form of storytelling that has grown immensely popular in Japan and has its roots back when Charles Dickens was writing stories, has spread from the land of the rising sun to China, Sweden, Germany, Africa, and most recently North America. 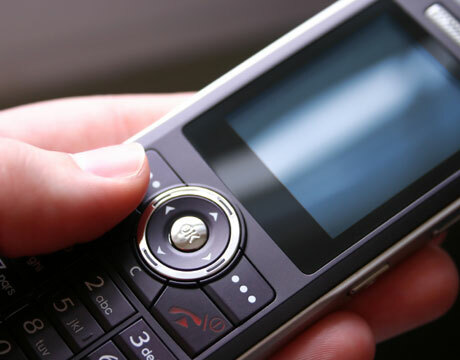 Individual people using their cell phone or computer, upload their story as they write it to a website, where readers can view it, subscribe to it if they like it, and leave comments to interact with the Author and potentially shape the direction of the story. Written in a short and easy to read format, Cell Phone Novels are serialized fiction for the digital age. TextNovel.com is a cell phone novel website, almost the only of it’s kind in English, that hopes to gain popularity for the format. Now with their addition of a Cell Phone Novel category, a proper list of the top English novels can be gathered. Obviously Cell Phone Novels are new and still relatively unknown to the mass public. However, I think it would be a safe bet to say that given time, the format will gain more popularity just as it did in Japan when it first started. It should also be noted that since the addition of the new Category, an influx of new novels have arrived.